Showcasing: Galeon 335 HTS, Galeon 420 FLY, Galeon 425 HTS, Galeon 470 SKY, Galeon 485 HTS & Galeon 640 FLY. The Dusseldorf Boat Show also known as boot Dusseldorf is a trade fair dedicated to the boat and water sports industry. The show is unparalleled because of the large number of exhibiting companies as well as its live demonstrations. Boot Dusseldorf 2019 will be held in the last week of January between 19.01 and 27.01. 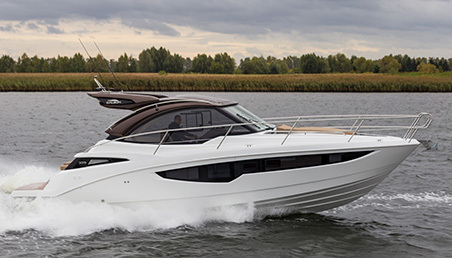 The boat show will take place at Messe Dusseldorf. In its 50th anniversary with over 1,900 exhibitors participating in boot Dusseldorf. These industry experts showcase their latest products to the astonishing 250,000 visitors from 90 countries. Products ranged between extreme sports, recreational diving and small, medium and luxury boats. The Galeon Yachts Sports Cruiser range offers an impressive selection of models, from 30 to 45 foot, sporty handling, elegant style, innovation and attention to detail best describe the luxury Galeon Open and HTS range, with their distinctive windows and bold colours to their opening hard tops and spacious entertaining areas. 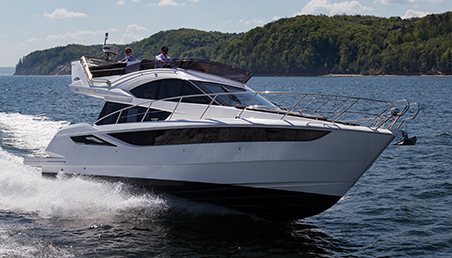 The Galeon Yachts Hardtop collection includes models, from 31 to 70 foot. 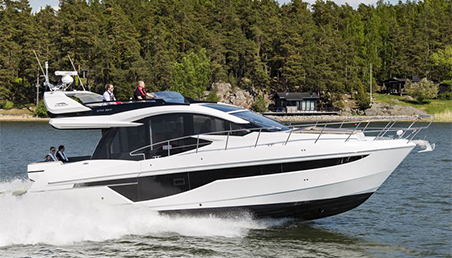 The HTC range look impressive with their aggressive lines, powerful structure and beautifully styled large windows which allow natural light to stream in to the cabins, All Galeon Hardtop boats are fitted with sliding glass doors and opening roofs which gives you the ability to use them all year round. 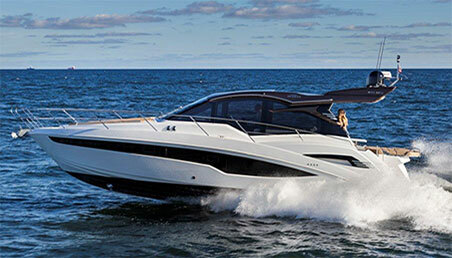 The award winning Galeon Yachts Flybridge range offers a stunning collection from 30 to 78 foot. Elegant lines, innovative features, bespoke finishes and spacious layouts come as standard. Whether your a novice looking for an entry level flybridge or an experienced owner looking to up-size you’ll be sure to find what your looking for with Galeon Yachts. 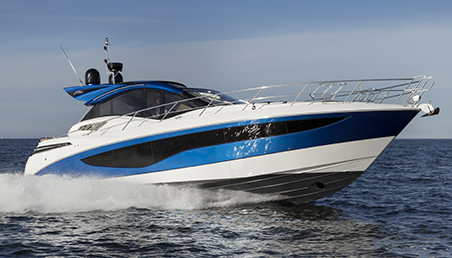 The Galeon Yachts Skydeck is an exciting range of boats from 43 to 70 foot, which boasts the perfect balance between a flybridge and hardtop. 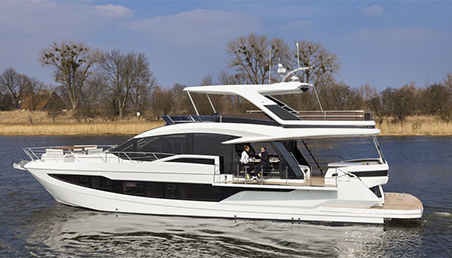 Enjoy the sporty looks and benefits of the hardtop with it’s opening cockpit roof and glass doors combined with a concealed flybridge for additional entertaining and easy handling.